A comfortable, high-coverage lipstick that protects your lips all day long. Soft and fine-textured, Phyto-Rouge Hydrating Long Lasting Lipstick not only provides coverage, but also skin care benefits to lastingly hydrate and protect your lips. 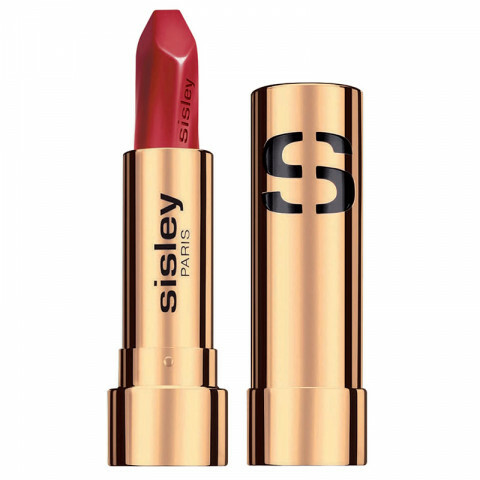 This very comfortable lipstick is available in exclusive shades and offers: flawless, long lasting hold, coverage thanks to a glide-on, satiny texture that does not bleed, clean, precise definition with the bevelled, spiral form of the bullet. Start defining the lip contour by applying a matching shade of lipliner. For more voluptuous lips, apply a touch of lip gloss over the lipstick. one of my favorite lipstick formulas. super hydrating and long lasting. pretty packaging too. No 25 Geisha Red is beautiful! The brand is fantastic, it does not dry out with age, I have had mine for 3 years and it goes on as smooth and silky as it did the first day I bought it. And yes... it does smell lovely too. The pigmentation is great, not to mention such a lovely, hydrating formula. Would repurchase again in the future. These are very pigmented and nourish the lips. The range of colors is beautiful. I highly recommend picking one up. Hydrating and pigmented. I love it!